Hurricane Irma: Surgical Salvage - Global Diving & Salvage, Inc. 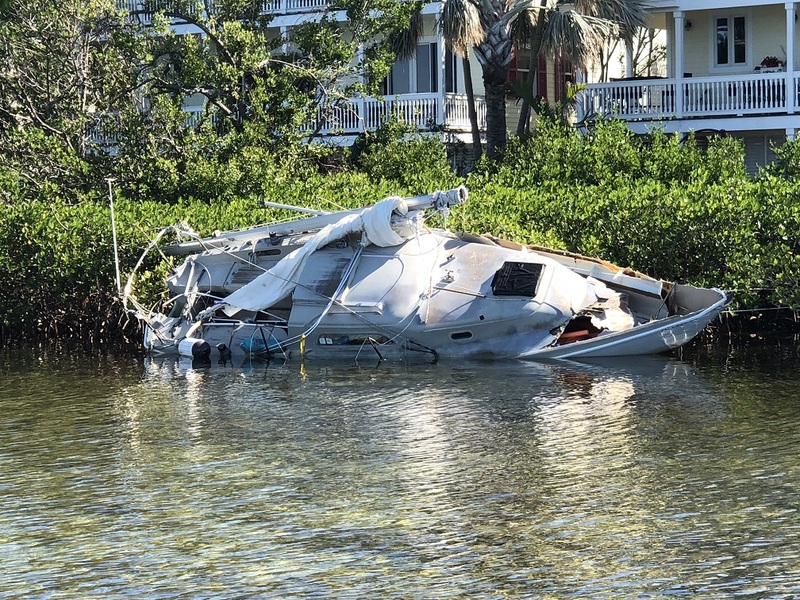 In Sept. 2017, Hurricane Irma struck the Florida Keys with category 4 winds and storm surges. 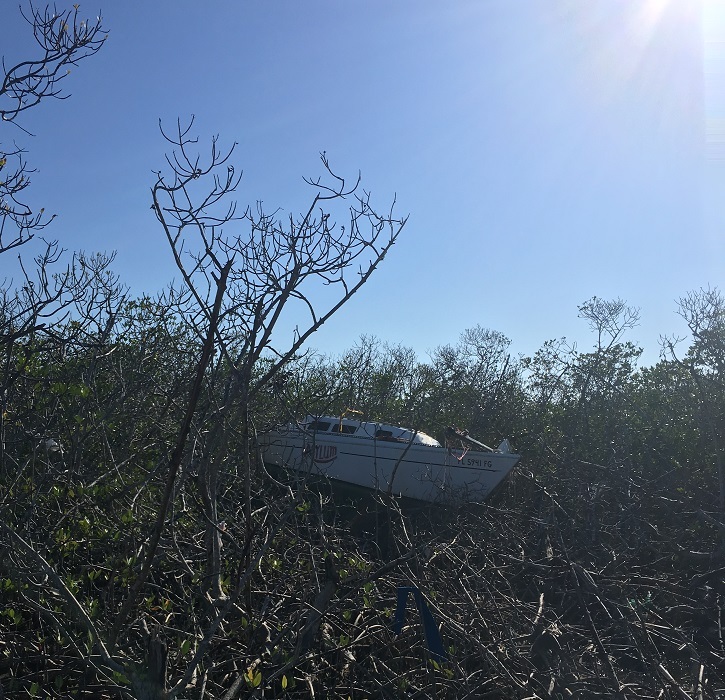 Under contract to the US Coast Guard, Global worked with the ESF-10 Vessel Removal Group to remove a number of vessels from locations near Key West and Boca Chica. 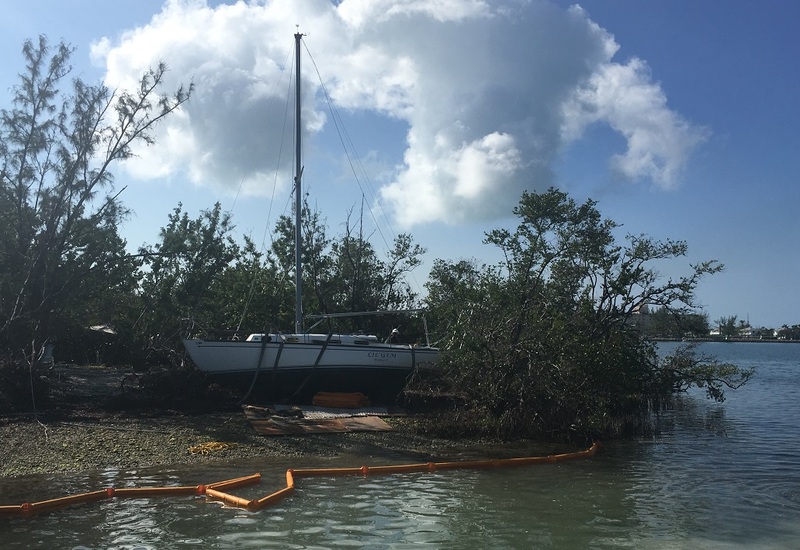 Global’s crews were tasked with the “surgical” removal of key targets on the Gulf side of the islands and within the Florida Keys National Marine Sanctuary; these grounded or sunken vessels were located in ecologically sensitive, difficult to reach areas. Before commencing salvage operations, Global crew members attended special training sessions, learning best management practices for preserving the native island and marine habitat, and avoiding disturbances to the endangered species and wildlife in the area. Sixteen Global employees worked in two teams, with subcontractors providing the necessary vessels, barges and cranes. 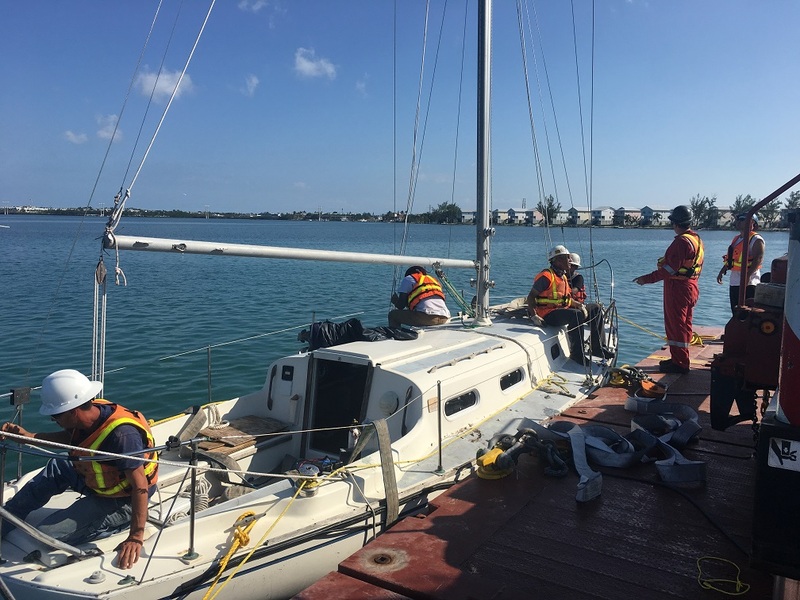 Often working in very shallow waters close to shore, crews removed sailboats and private vessels from mangroves and seagrass beds using skiffs and shallow-draft barges equipped with floating towlines and winches. Grounded vessels were lifted by crane or carefully winched over plywood “roads” to protect the shoreline and vegetation; once offshore they were refloated for towing or lifted onto a materials barge. 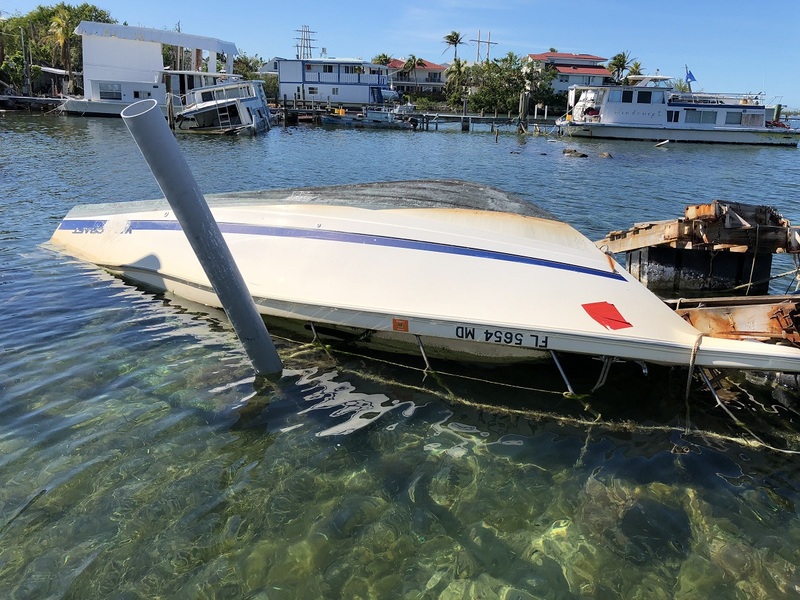 Crews defueled and dewatered the vessels and removed batteries and other hazardous materials, then transported them to the staging area where they were turned over to the USCG for cataloging and disposal. Check out the video to see the efforts of Global’s crews working in the aftermath of Hurricane Irma.